Two Chinese Earth-imaging satellites spent the last week climbing into their operational orbits after being dropped off in a lower-than-planned orbit by their Long March 2D rocket on December 28. 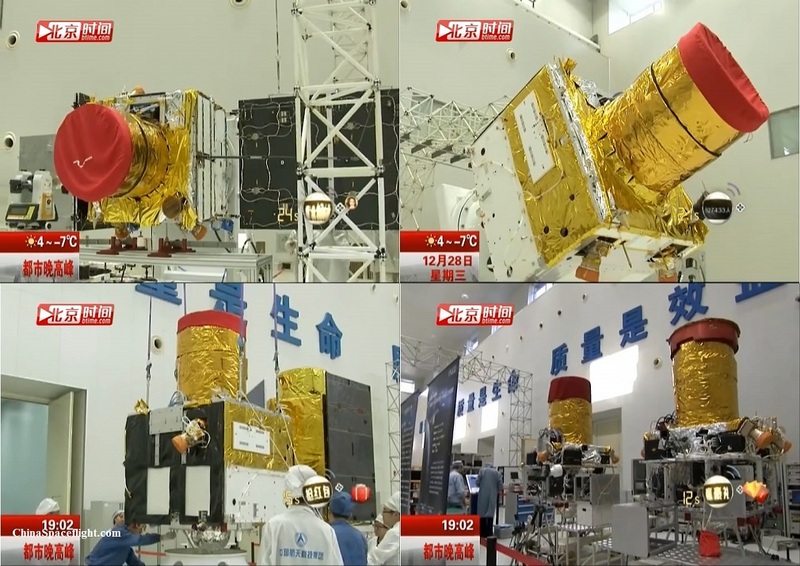 Gradually raising their orbits over a period of days, the two Gaojing satellites are now in a position from where they can begin fulfilling their operational missions. 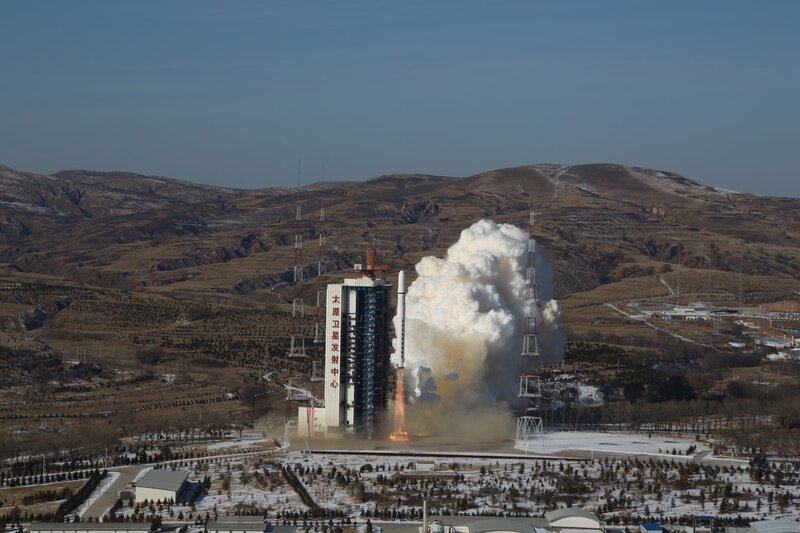 Gaojing-1 & 2, the first pair in the commercial SuperView Earth observation constellation, took flight at 3:23 UTC on December 28 from the Taiyuan Satellite Launch Center. Long March 2D – a workhorse with over 30 successful missions under its belt – was operating its very first mission from Taiyuan after exclusively flying from Jiuquan for the past 24 years. 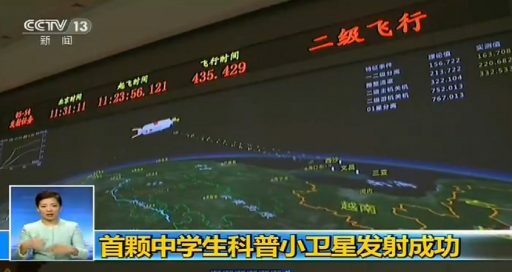 Chinese state media declared the launch a success, but rumors of problems with the satellite orbits quickly made the rounds and orbital data confirmed that something had gone wrong during the rocket’s climb into orbit, leaving the satellites in a 214 by 524-Kilometer orbit rather than the planned 530km Sun Synchronous Orbit. To salvage the satellites and prevent them from succumbing to orbital drag, operators quickly began the process of raising their orbits – likely at some cost of operational lifetime. Orbit-raising operations began around 24 hours after the botched launch and concluded in the early hours of January 1st with some more fine-tuning to come over a period of weeks to set up the proper spacing between the satellite pair. At present, SuperView 1-01 is in a 483 by 529-Kilometer orbit while SuperView 1-02 resides in an orbit of 518 by 535 Kilometers, both inclined 97.6 degrees. More maneuvering is needed by both satellites to transition into a fully Sun Synchronous Orbit. The satellite’s desired Local Time of Descending Node (equator crossing from North to South) has drifted around 20 minutes from the desired 10:30 LTDN. How much propellant is left inside the spacecraft’s tanks and what impact the additional fuel expenditure will have on the craft’s service lives is not known. 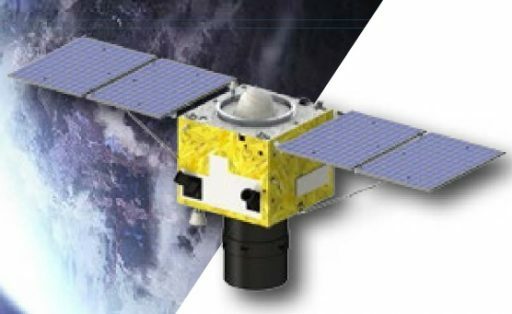 The BJ-70-1 CubeSat that was launched with the two Gaojing satellites is currently found in a 215 by 503-Kilometer orbit with no way of lifting its perigee and facing a relatively quick orbital decay. 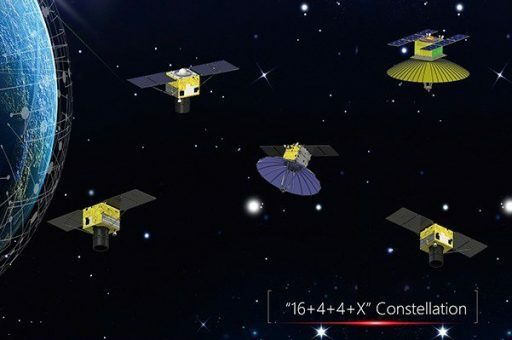 Neither the operator of the SuperView satellites, Siwei Star Co. Ltd., or the launch services provider have commented on the apparent launch anomaly. 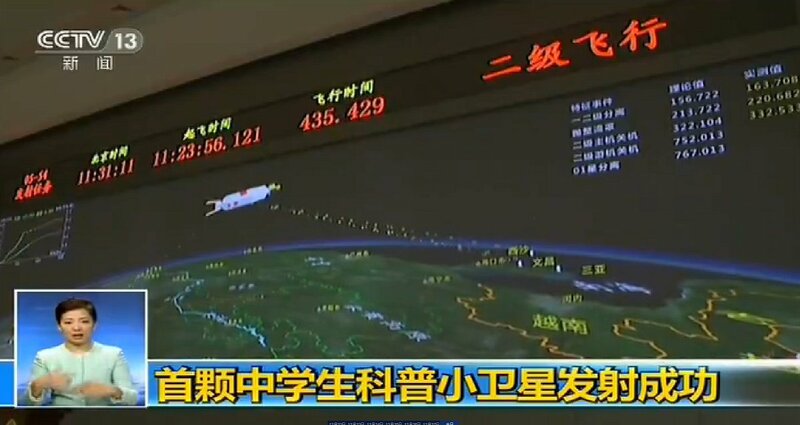 According to data displays at the Launch Control Center seen in TV news footage of the launch, several ascent events deviated from the planned launch sequence. The CZ-2D first stage was to separate 156.7 seconds into the mission, but the actual separation occurred at 163.7 seconds with payload fairing separation also seven seconds later than planned, at 220 seconds. The second stage was to shut down its main engine 322.1 seconds into the mission, but actual MECO was marked at 332.5 seconds. This suggests the second stage fired its main engine longer than planned to reach the desired injection speed, consuming propellants that were originally planned to be used up by the stage’s vernier engine during a 7-minute and 10-second burn to circularize the orbit at 530 Kilometers. It was the first time Long March 2D experienced an in-flight anomaly leading to an off-nominal orbit. Gaojing 1 & 2 are the first two satellites in the SuperView-1 Earth-Observation constellation which is owned and operated by Siwei Star Co. Ltd. – one of two business entities making up SpaceView which markets Earth observation data from Chinese programs across the globe and acts as the prime distributor for international EO products in China, serving over 1400 government and commercial customers. The full constellation will be established by 2022 comprising 16 optical-imaging satellites with a 0.5-meter ground resolution, four optical satellites achieving a resolution better than 0.5m, four Very-High-Resolution X-Band radar satellites and multiple Micro Video and Hyperspectral satellites to deliver a variety of data products. Built for a design life of eight years, the satellites host a powerful Earth-imaging payload capable of collecting black-and-white images at a ground resolution of 0.5 meters and multispectral imagery at a two-meter resolution. Multispectral data is collected in four channels – red (450-520 nanometers), green (520-590nm), blue (630-690nm) and a near infrared channel (770-890nm). 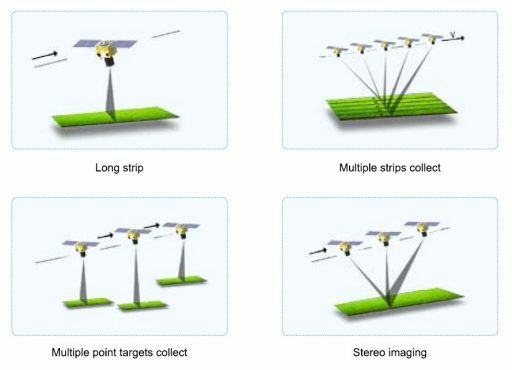 The optical payload covers a ground swath of 12 Kilometers and image acquisition is possible in long-strip mode, multiple target collection, stereo imaging achieved by looking at the same target from different angles, and multiple image strip collection which can deliver imagery of a 60 by 70-Kilometer area during a single pass of the satellite. Flexible imaging is enabled by varying the satellite’s pitch by +/-30 degrees and rolling the spacecraft by up to 45 degrees to either side for off-nadir imaging. The Gaojing imaging system has been optimized for precise map creation, change detection, high-resolution surveying, stereo imaging, and event monitoring. The satellites provide a revisit time better than four days and each can image an area of 700,000 square Kilometers per day with imagery stored in a 2TB onboard memory and sent to the ground via two high-speed 450 Mbps X-Band channels. The first two Gaojing satellites were to be joined by another pair in 2017 to have four satellites in the same orbital plane, spaced by 90 degrees to further enhance revisit time and daily coverage.